The Food and Dairy industry is a staple of life as we know it. From waking up to and having breakfast to treating yourself to an ice cream dessert, dairy products are an instrumental piece of our consumption habits. Between the time that dairy products are created and the time they show up in the grocery market, they meet an extensive set of unique manufacturing and distribution challenges. Ranging from handling regional preferences to preventing quick turns, these issues provide hurdles that must be overcome at every step of the process. Overcoming these challenges in an effective and efficient manner is key to keeping everyone supplied and satisfied with their daily dairy. Here at SCC, we’re proud to play a small role in helping the Food and Dairy industry overcome these obstacles. 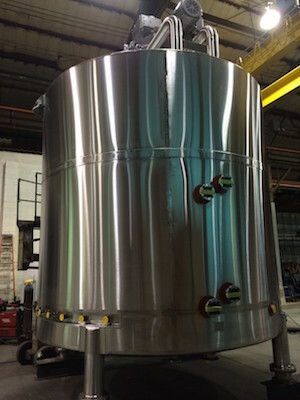 Our diverse product line of mixing vessels, jacketed tanks, process vessels, cook and cool kettles, and more helps companies improve shelf-life and keeping product from turning. Our storage containers are great for distribution and improve transportation issues. Our experience in this industry helps us create products to solve problems, instead of relying on one-size-fits-all solutions. If a standard option just won’t cut it, our in-house design team can work with you to develop the product you need. 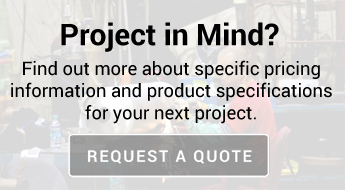 Our ability to create custom solutions gives you the ability to pick and choose features that will perform perfectly for your unique needs.Whatever application you perform, we have the piece to help you get the job done. Our team at SCC is up to date on the latest safety practices and constructs our products accordingly. We have experience providing sanitary #4 finish to meet the sanitary specifics of your vessel. Whether you’re looking for a standard piece of equipment or would prefer our in-house design team to engineer a custom solution for your application, let SCC provide you with the equipment that will maximize your efficiency.